On average, 15 people are newly diagnosed with ALS a day. ALS is a progressive neurodegenerative disease that affects nerve cells in the brain and spinal cord. Due to the degeneration of motor neurons, this disease eventually leads to death. 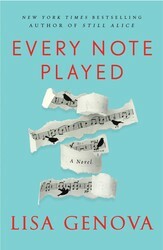 In her new novel, EVERY NOTE PLAYED, neuroscientist and bestselling author Lisa Genova tells the story of Richard, an accomplished concert pianist who now suffers from ALS. His arm is paralyzed and his ex-wife, Karina, has moved in to help care for him. Read an excerpt from the novel and then be sure to check out the video below to learn why Lisa was inspired to write the book. While the introduction of the BiPAP has meant a better night’s sleep for Richard, it has meant the opposite for Karina. She adjusts the mask, making sure it’s entirely sealed, knowing without question that, like all things, the seal is temporary. When he yawns, when he scrunches up his nose because it itches, when he turns his head to the right, the mask can come loose. If it does, the machine will then sound an alarm, and Karina will have to get up to readjust the mask. Several times a night. She sleeps on the couch in the living room now to shorten her commute. He’s like a newborn, and Karina is the sleep-deprived new mother, a walking zombie. But with newborns, there is light at the end of the tunnel. The baby starts eating solid food or gains weight or turns one—some developmental milestone is achieved and miraculously the baby sleeps through the blessed night. There is no light at the end of this tunnel, no developmental milestone that will graduate Richard from needing assistance all hours of the night. Unless they consider his death a milestone. Maybe Karina does. He watches her face, her pretty green eyes. She’s inspecting the perimeter of his mask, but because the mask is over the midline of his face, it looks as if she were studying him. Her eyes appear dull, disconnected from the source of any internal spark. Her long hair is gathered into a low ponytail, but a section from the front has fallen loose, draping over her right eyebrow. He wants to reach out and tuck it behind her ear. She looks him in the eye and sighs. He wants to tell her that he’s sorry that she’s so tired. He’s sorry that he has this and had nowhere else to go. He’s sorry he’s become such a burden to her. And then suddenly, strangely, for the first time, he wants to tell her that he’s sorry for all of it. And he’s sorry without the usual accessories, the excuses that absolve him or an equivalent list of her crimes weighing down the other side of the scale, blaming her, making them even. There is only his apology. He’s sorry he was so careless with her, their family, their life. 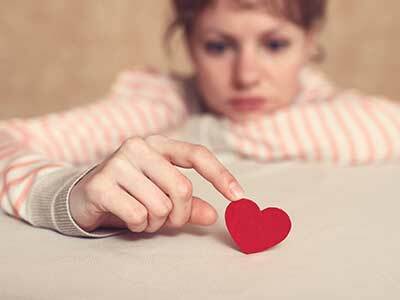 He’s sorry that he cheated on her, that he didn’t know what to do with his loneliness, that he felt unappreciated, unseen, unloved by her and didn’t know how to talk to her about it. He was lonelier in bed with Karina than anywhere else on the planet. He never told her. He remembers those green eyes looking straight at him, simmering with resentment, punishing him, looking straight through him, indifferent, shunning him. He was too afraid to ask her what was wrong, too afraid to hear her answer. They never talked about any of it. They were complicit in their mutual silence. Her exhausted eyes, likely praying that the mask stays put for at least a couple of hours, connect with his. He wants to tell her now that he’s sorry, before she leaves the room, before this revelation and urge to confess evaporate, before he goes to sleep and, as if it were a dream in the nighttime, he awakens in the morning with only the vaguest sense of having known something. He holds his apology like a helium balloon, the slipknotted string fast loosening from his wrist, soon to be a dot in the stratosphere. He has to say it now or possibly never. But his voice, already thin and weak like the rest of him, can’t be heard through the mask, over the vacuum-cleaner-like whir of the BiPAP. Karina turns off the TV and the light, leaving the door open a crack as she disappears from his room without ever hearing him, not knowing. Learn more about Genova’s inspiration to write about ALS. Keep family and friends close during hard times. Excerpted from Every Note Played by Lisa Genova. Copyright © 2018 by Lisa Genova. Used by permission of the publisher. All rights reserved.